Can it help victims and rehabilitate criminals? 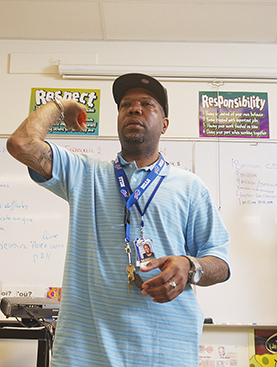 As calls for criminal justice reform grow louder, some social workers, religious leaders and legal experts want to expand the use of an alternative, nonpunitive system of justice for cases ranging from student conflicts to assaults involving adults. They say that “restorative justice,” through “peace circles,” mediation and other methods, promotes conciliation and remediation by bringing offenders, victims and community members together to determine how best to help victims and rehabilitate offenders. Advocates say restorative justice can potentially reduce repeat offenses, incarceration rates and court costs. But critics, including some prosecutors, deride it as a soft-on-crime approach that won't work for violent crimes such as assault. They also disagree with proponents' claims that restorative justice programs can heal victims or keep career criminals from returning to prison. All sides agree more research is needed to determine whether restorative justice can one day help transform the nation's criminal justice system.